Taylor County (pop. 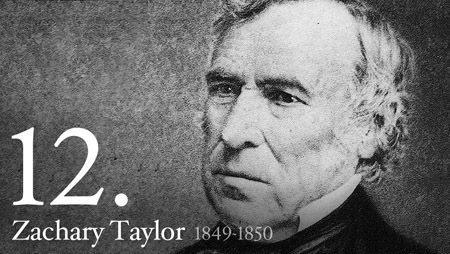 22,570) was named for President Zachary Taylor (1784-1850). It’s one of seven Taylor counties in the U.S., and one of four named for Zachary. The county is located along the Gulf of Mexico – in the “Big Bend” area, where the Florida shoreline goes from north-south to east-west – but it has almost no roads along its marshy coast. The county seat of Taylor County is Perry (pop. 7,013), the only incorporated city in the county. The timber industry has long been important in the area. The 13-acre Forest Capital Museum State Park is just outside of Perry. Four miles west of Perry is Hampton Springs, once home of the Hampton Springs Hotel – known as “Dixie’s Famous Spa” in the early 1900s. It burned down in 1954. The coastal areas and rivers of Taylor County are popular for fishing. Econfina River State Park is at the mouth of the Econfina River. The community of Steinhatchee has an annual Fiddler Crab Festival. Fiddler crab racing is included. This entry was posted in Florida and tagged Econfina River State Park, Fiddler Crab Festival, Florida Forest Festival, Forest Capital Museum, Hampton Springs Hotel, Steinhatchee.